Whichever option you select (or maybe all of them), you will need a payment service provider to accept the payments on your site. Selecting a proper payment service provider is one of the most important things to consider when you create a dating site. We’ve come up with a list of things to consider when choosing a payment processing system that suits you best. Do a research. What payment service is the most popular in the country/countries where your target audience resides? What are the preferences of your audience? A younger person may be into modern options like Bitcoin or Google Wallet, while a 60+ audience may go for credit card transactions only. Depending upon whether you are going local or global, support of different currencies and countries may be important. Some payment providers offer limited coverage, so pay close attention to that. You may wish to be able to accept cash as well. Dating Pro’s administration panel allows you to add funds to users’ accounts manually or to accept offline payments such as wire transfers, cash, etc. Setup, monthly, and transaction fees are the most important charges to consider. However, there usually are more fees associated with a payment gateway. The lowest bidder may not always be the best choice. Read the service terms and conditions carefully. Check for fees related to cancellations and withdrawals. Find a payment processor that will defend your transactions by default and work with you to minimize the consequences of fraudulent activity, or better yet – take all possible measures to prevent fraud. All gateways should include data encryption. Also preferable is CVV2 verification. Dating is a sensitive area. If your service is more adult oriented, make sure your payment provider will allow that and not ban your account instead. We cannot but stress the importance of always checking the terms and conditions. Some payment gateways only allow you to sell physical goods. Some do not allow payments for travel arrangements which can be convenient if you run a dating agency and welcome members from abroad, and so on. Support of subscriptions may be important if you base your service on membership fees. Some payment gateways allow you to set up recurring payments. It can save you a lot of time and hassle. Make sure your provider gives you access to your money at any time and does not block your account at every single fraud alert. Valid sales that for some reason triggered fraud alerts should be cleared fast and easy. Good customer support on the initial stage is indicative of the support you’ll be receiving after you sign an agreement with the company. If you prefer to speak to an actual person when things go wrong, telephone support is a must. 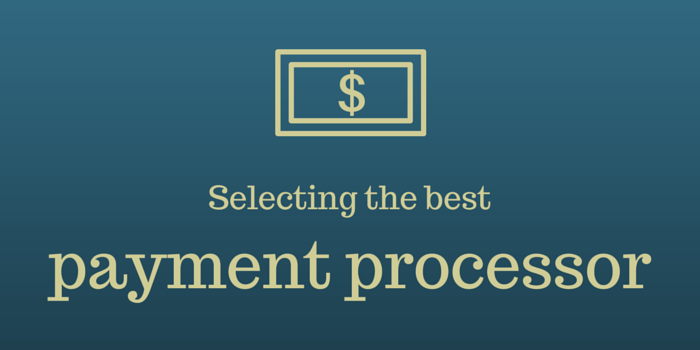 This article by Scott Scharf on selecting the best payment processor may be of help to you. Also, for a list of 10 specific questions to ask when choosing a payment provider, see this white paper by PayPal (PDF, subscription required). We’ll be glad to hear your thoughts and comments. Have you encountered any difficulties when selecting a payment provider(s) for your dating website? Share your experience.